Dublin September 11th, 2018 — A new, free, online course developed by Trinity College Dublin will allow learners worldwide to explore the history of Ireland through the remarkable Book of Kells — one of the world's most famous medieval manuscripts. Now members of the public around the world will have the opportunity to learn more about this precious manuscript through a new four-week online course. The “The Book of Kells: Exploring an Irish Medieval Masterpiece” course will commence on October 8th, 2018 and is run in partnership withFuturelearn, the social learning platform. The free online course is aimed at anyone with an interest in Ireland, medieval studies, history, art, religion and popular culture. Leaners on the course will explore the art, theology and materiality of the manuscript and the meanings that it holds. Each week the course will explore a different side of the Book of Kells; its history, how it was made, interpreting its images, and what the book means for popular culture today. 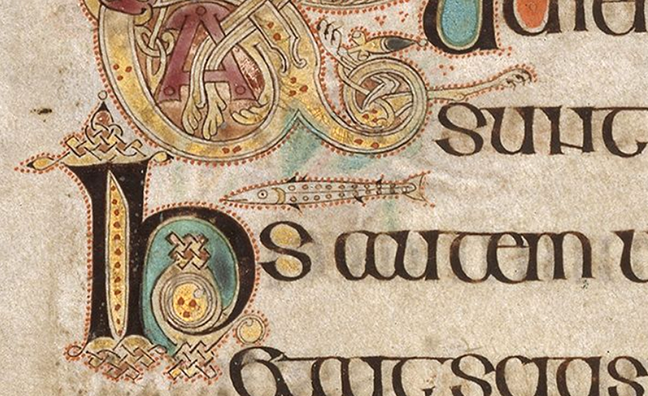 The Book of Kells is one of the world’s greatest medieval treasures. It is a lavishly decorated copy of the four gospels written in Latin with supporting texts. It is set apart from other manuscripts of the same period by the quality of its artwork and the sheer number of illustrations that run throughout the 680 pages of the book. It was intended for ceremonial use on special occasions such as Easter rather than for everyday use. It is not known exactly when the Book of Kells was written but it is thought that it may have been around 800 AD. It was written and illustrated by hand using all of carefully prepared materials including vellum, inks and pigments. It is believed that the Book of Kells was written in a monastery founded by St Colum Cille on Iona in Scotland. Viking raids were widespread at the time of the creation of the Book of Kells and it became too dangerous for the monks to continue living on the island. The monks fled from Iona to their sista newly established monastery in Kells, Co Meath, around 807AD. It is not known if the book was written wholly in Iona or if part of it was written in Kells, but we know that it remained in Kells throughout the Middle Ages and eventually, it was placed in the Library of Trinity College by Bishop Henry Jones of Meath in 1661.